Another outstanding publisher is Seagull Books out of Calcutta, India. They were founded in 1982 as an Indian publishing house, focusing on Indian theatre and art. Since early 2000, they have been releasing English translations from around the world, and now have quite an impressive catalog. They have a wide range of genres, but I focus on their literature, the picture below showing the books I have from them so far (except for the two I ordered this morning). 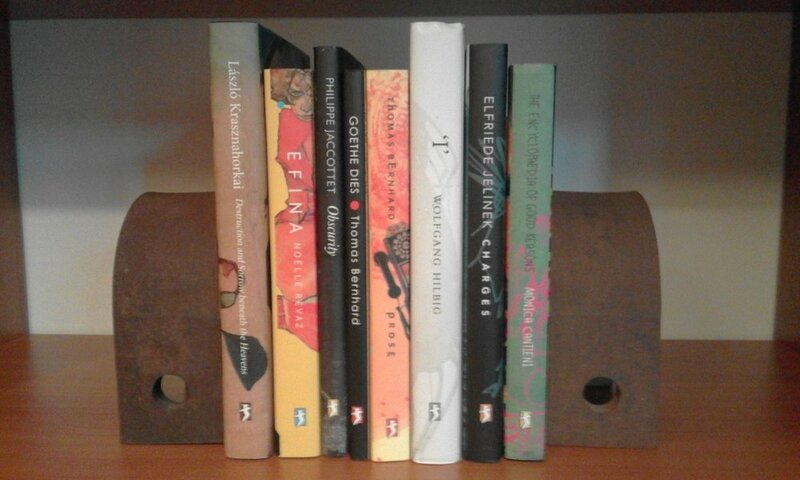 While I have enjoyed all their books I have read, I am especially pleased that they publish some of my favourite authors, such as Hungarian László Krasznahorkai, and Austrians Thomas Bernhard and Elfriede Jelinek. While their focus is on extraordinary authors, their books are also beautifully crafted and a pleasure to look at and hold.